Yogurt maker Chobani announced it will name a new chief executive to replace its founder and may appoint its acting president, a turnaround expert from private equity firm TPG, which lent the company $750 million last year. The company plans to name a new CEO in the first half of 2015 and replace company founder Hamdi Ulukaya – the top contender is currently interim president and COO Kevin Burns. Ulukaya will remain chairman, according to Chobani's CMO Peter McGuinness. Since April the company has been searching for a CEO and has identified several qualified candidates, including Burns. Ulukaya will aid in the selection of the new "operationally based" CEO and remain involved in day-to-day business on the product side. Burns, the partner in charge of TPG's manufacturing/industry sector, is regarded as a manufacturing and turnaround expert. 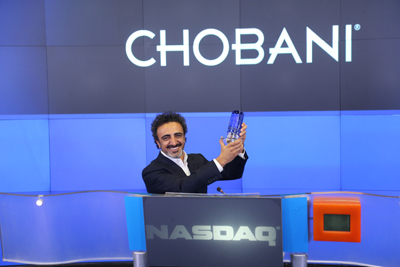 He has also been serving as Chobani's interim president and COO since August.